For the love of thrills. Get $100 in instant savings on Orlando vacations. 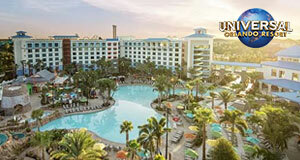 Book a flight + hotel package to Orlando, and get $100 in instant savings at the time of booking. Plus, save even more with additional hotel offers below. Shop hotel deals to complete your package. Hotel savings vary by date of travel and room category booked. For travel 2/5/19 – 4/27/19: save up to 10% in DEAL room categories. For travel 4/28/19 – 8/4/19: save up to 15% in SALE room categories. For travel 2/5/19 – 4/27/19: save up to 20% in DEAL room categories. For travel 4/28/19 – 8/4/19: save up to 30% in SALE room categories. Hotel savings vary by date of travel. Enjoy more ride time, more free time and more family time with exclusive theme park benefits. Located just minutes from world-class attractions, championship golf courses, excellent restaurants, and premium shopping. Room upgrade is to Balcony room category and will be assigned at time of check-in. 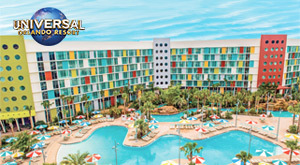 Features a prime location near world-famous theme parks, abundant onsite amenities and a variety of accommodations ranging from studios to spacious four-bedroom villas. Located right next door to Disney's Animal Kingdom® Theme Park, the resort offers four separate villages of amenities available to all resort guests. Complimentary resort shuttle makes it easy to explore everything this resort has to offer. Visit to experience the extraordinary magic and allure of Hilton Orlando Buena Vista Palace. Drift down our spiraling Float Lagoon or cool off with the little ones in the Kid’s Splash Area. 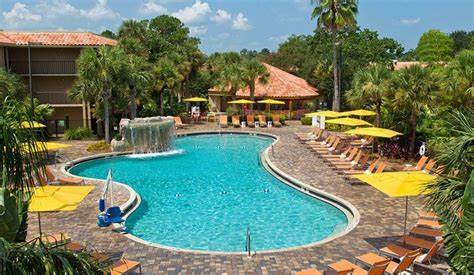 Nestled in 28 acres of lush palm trees and tropical fountains, the DoubleTree Orlando is your relaxing oasis. Savor the sweetness of our fresh chocolate chip cookie at check-in. Disney Springs Resort area's newest hotel resort, features newly-renovated guest rooms and suites. Hotel offer blackout dates: 2/8/19 – 2/9/19, 2/11/19 – 2/14/19, 4/26/19 – 4/30/19, and 5/3/19 – 5/7/19. *Restrictions and exclusions may apply. First use of theme park tickets must be on or before 5/28/19, to receive full benefit of the ticket entitlements. One-day advance purchase is required. Savings valid if booked 9/14/18 – 3/14/1​9 by 6:00 p.m. CT for travel 9/15/18 – 5/31/19. **A 4-Park Magic Ticket includes one admission to each of the Walt Disney World® theme parks (Magic Kingdom® Park, Epcot®, Disney’s Hollywood Studios®, and Disney’s Animal Kingdom® Theme Park), for a total of four (4) admissions. This ticket can be used to enter each theme park only once. Limit one admission per theme park, and one park per day. All tickets and options are nontransferable, nonrefundable, and exclude activities/events separately priced. No credit or refund will be given for higher-priced tickets used on lower-priced dates. Admission is subject to capacity, closures, and other restrictions. ^The number of rooms allocated for this offer is limited. Savings are based on non-discounted price for the same room. Cannot be combined with any other discount or promotion. 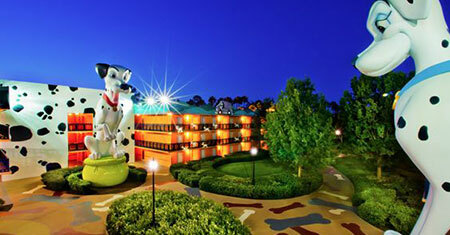 Additional per adult charges may apply if more than two adults per room. ^^Theme park ticket purchase is required in order to receive Early Park Admission.